The Low Carbon Kid: Investment funds divested from fossil fuels "will perform better"
The author of the influential Stern Review on the Economics of Climate Change is also calling for Europe to decarbonise the power sector by the 2030s. Research by leading investment and asset management firm has shown that fund managers divesting fossil fuels from their portfolios, and replacing them with an actively managed portfolio of renewable energy and energy efficiency stocks, will reduce risk and achieve positive financial benefits. 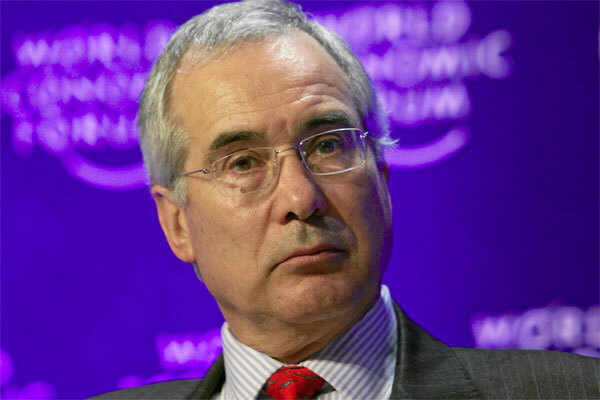 The conclusion will support a call issued last Friday by Lord Nicholas Stern for Europe to "re-ignite growth by investing in the transition to a low carbon economy". The author of the influential Stern Review on the Economics of Climate Change, said in his statement that "low-carbon growth is the only credible medium-term growth strategy" and called for a European goal of decarbonising the power sector by the 2030s. Pressure is building on institutional investors to assess their exposure to companies that extract fossil fuels, as concerns rise about the likely effects on the climate from greenhouse gas emissions. In parallel, financial analysts are increasingly warning investors of the risks that tighter regulations on carbon dioxide emissions and falling demand for fossil fuels could make fossil fuel reserves substantially less valuable, or even ‘stranded’, and ultimately rendered worthless. Impax Asset Management, which won the Sustainable Investor of the Year accolade at the FT/IFC Sustainable Finance Awards last month, has assessed the relative performance over the last seven years, in terms of returns and volatility, of four alternative portfolio structures. Its analysis of the historical data found that, over the past seven years, eliminating the fossil fuel sector from a global benchmark index would actually have had a small positive return effect. Furthermore, much of the economic effect of excluding fossil fuel stocks could have been replicated with ‘fossil free’ energy portfolios consisting of energy efficiency and renewable energy stocks, with limited additional tracking error and improved returns. fossil free plus environmental opportunities 'active' portfolio: as  but actively managing a portfolio of stocks selected from a wider range of resource optimisation and environmental investment opportunities. The best performing alternative was . As a result, the company believes that investors should consider reorienting their portfolios towards low carbon energy by replacing fossil fuel stocks with energy efficiency and renewable energy investments. The announcement follows news last week of two more financial institutions, Storebrand and Rabobank, divesting from fossil fuels. Managers of college endowments and municipal and state pension funds are increasingly finding themselves the target of fossil fuel divestment campaigns from within US universities, similar to the calls for divestment of stocks of companies that supported apartheid in the 1980s. The Fossil Free campaign maintains that it is “morally wrong to profit by investing in companies that are causing the climate crisis”. Independently, mainstream analysts are now building on research from the Carbon Tracker Initiative, which has warned that regulations to limit carbon emissions could significantly impact the market value of fossil energy companies as it becomes uneconomic to extract their reserves. It calculates that 80% of the world’s proven fossil fuel reserves cannot be consumed without exceeding the international target to keep global warming to within 2°C above pre-industrial levels, implying that the world’s listed fossil fuel companies, whose share prices are partly based on their proven reserves, are grossly overvalued. and Aviva Investors, Bunge, Climate Change Capital and HSBC, which are funding research at Oxford University’s Smith School of Enterprise & Environment into risks posed to investors by high-carbon stranded assets. The Impax report concludes: "Given the growing consensus around climate change science, it is rational for investors to expect much tighter carbon regulation, with profound economic effects, in many regions of the world. These regulations ... are only moving in one direction: towards a lower carbon world." caption: The author of the influential Stern Review on the Economics of Climate Change is also calling for Europe to decarbonise the power sector by the 2030s. How do you communicate action on climate change?